Our new Del-Sphere pivot joint rear axle housing bushings allow for full articulation of your rear upper control arms for maximum handling performance. 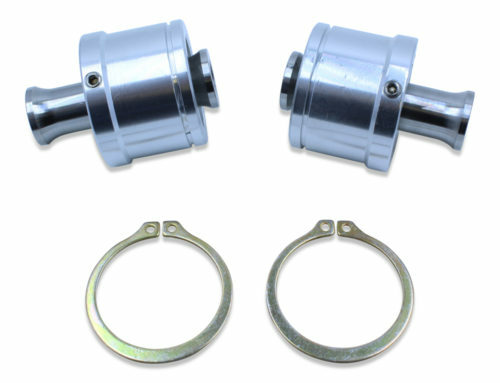 These Del-Sphere pivot joints install easily with a light press fit and are retained by an external snap retaining ring. Check out all of our performance products for the 1964-1967 GM A-Body, 1968-1972 GM A-Body, 1973-1977 GM A-Body, and 1978-1987 GM G-Body! Check out all of our performance products for the 1971-1976 and 1977-1996 GM B-Body! 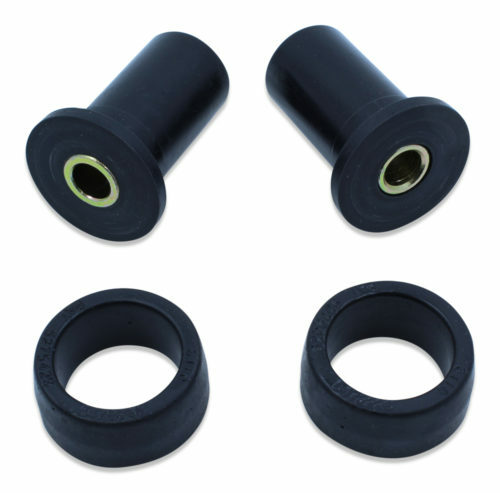 Spohn Performance now offers low deflection polyurethane rear upper control arm bushings for the rear axle housing mounting ears on the 1964 GM A-Body cars. The 1964 GM A-Body rear axle housing bushings are different than the 1965+ and are extremely difficult to find. They do require that you re-use the factory clam shells. Click here to check out all of our performance products for the 1964-1967 GM A-Body!